Kaja Whitehouse at the New York Post offers a piece on a recording the feds say captured reputed Philadelphia Cosa Nostra organized crime boss Joseph Merlino speaking of the ease of killing someone. 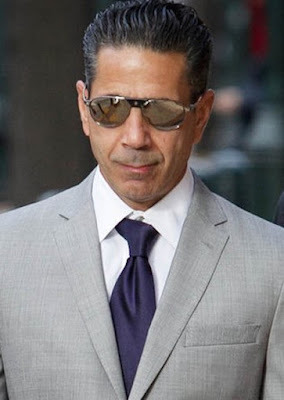 Killing someone is pretty easy, according to reputed Mafia boss Joey “Skinny Joey” Merlino — who offered his own personal play-by-play approach to a mob cohort in a secretly recorded conversation, the feds say. In the 2014 recording, authorities captured the alleged Philadelphia mob boss gabbing with reputed Genovese acting captain Eugene “Rooster” Onofrio about how to best off someone, according to court documents filed Tuesday. “It’s easy to kill somebody,” Merlino boasted, with Onofrio agreeing, “It’s simple,” according to the feds.